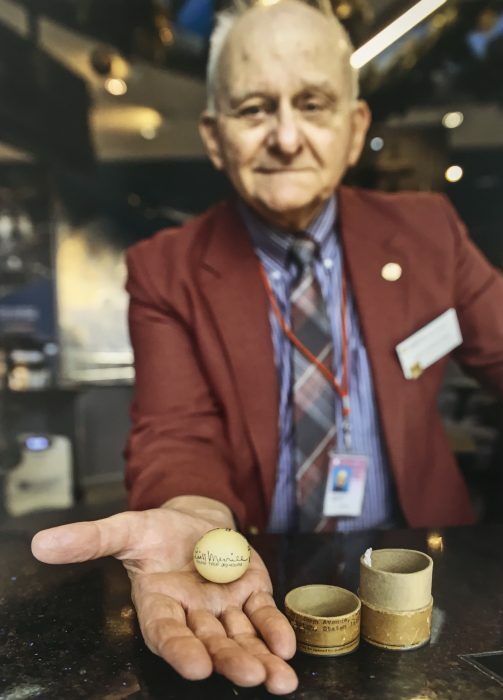 Kent Wang introduces us to Robert Kovalchik, a docent at the National Air and Space Museum who has volunteered more than 4,000 hours over the past 25 years. The National Air and Space Museum is one of the most-visited museums in the world. Welcoming nearly nine million visitors each year is only possible with the help of willing volunteers. More than 300 docents assist staff to carry out the museum’s mission by interacting with visitors and helping them learn more about the museum’s collection of rare and historically significant aircraft. Robert Kovalchik is one of the many volunteers who represent the lifeblood of the museum. Bob served in U.S. Army and Reserve from 1960 – 1966. 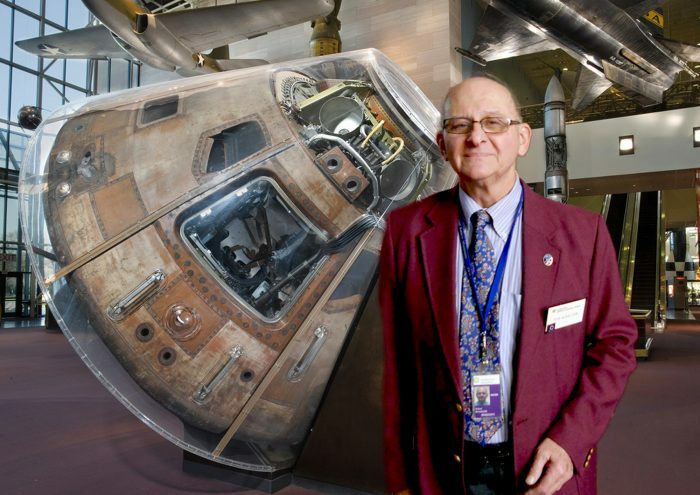 After a 32-year teaching career, Bob came to NASM as a docent in 1993. Twenty-five years later, he has given more than 2,000 tours to visitors, many of tailored specifically to the interests of the tour group. Bob keeps up with the aerospace industry through avid reading, lectures and memberships in aerospace organizations. He himself is a pilot, certified on the Cessna 152 and 172. He takes every opportunity to talk with astronauts, pilots, and engineers and frequently volunteers as a VIP tour guide for special guests. His most memorable tour was a fortunate encounter with the real ironman of spaceflight. 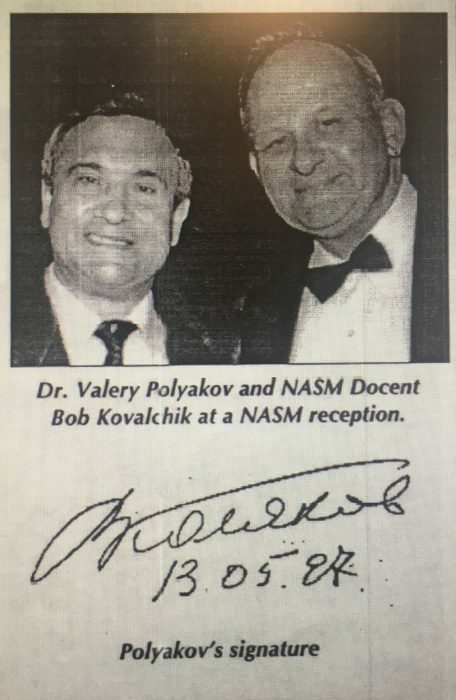 On a lovely spring evening in May 1995, Bob was assigned to assist cosmonaut Valeri Polyakov on a special tour centered on the Russian-American exhibition in Space Hall. Polyakov, a former Russian cosmonaut, is the holder of the record for the longest stay in space in human history, living aboard the Mir space station for more than 14 months during one trip. In total, Polyakov has spent almost two years in space. His combined space experience is more than 22 months. Bob has met a lot VIPs on tours, but the awe-inspiring Polyakov remains his favorite. 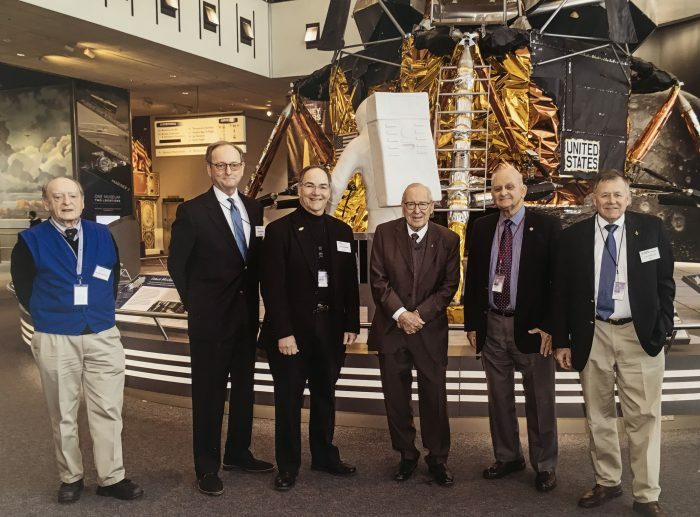 Another highlight from his docent career at NASM was the award of the Brewer Trophy from the National Aeronautic Association. Thanks to former director Jack Dailey and docent manager Steve Williams, who paved the way, the docent corps received the prestigious education award in 2005. 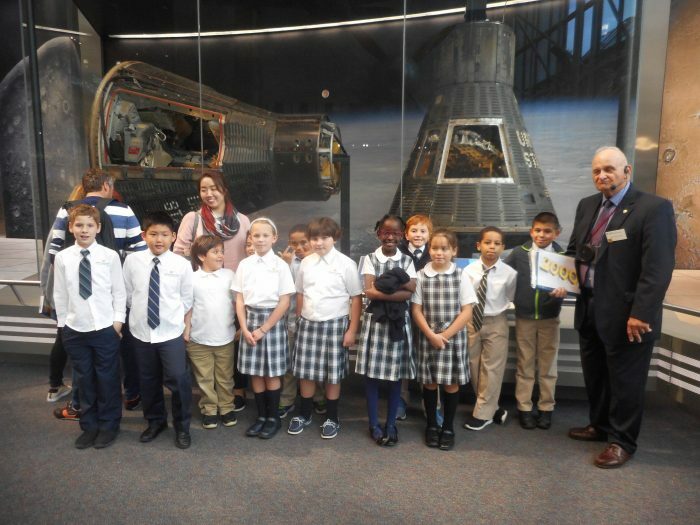 Bob helped the docent corps to achieve such remarkable success in maximizing educational opportunities for school groups and museum visitors from all over the world. • From left, Bernard Kaufman, Ernie Snowden, Mike Deitchman, Capt. Jim Lovell, Bob Kovalchik and Jack Manclark. Lovell was the commander of the ill-fated Apollo 13 mission, which suffered a critical failure en route to the Moon but was brought back safely to Earth through the efforts of the crew and mission control. NASM photo. 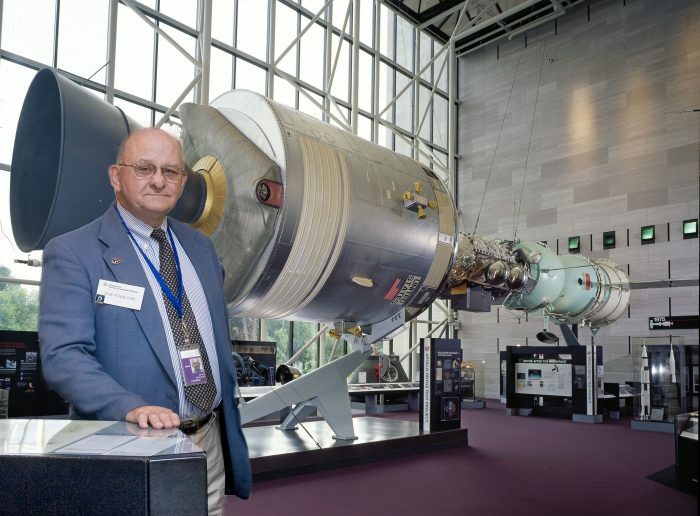 For the past 20 plus years, Bob also has been also a docent at the College Park Aviation Museum and served as a member of the Field of Firsts Foundation to help raise funds to support CPAM. Bob and the fund-raising arm orchestrated a number of European visits to air shows and procured grants to help fund the museum and special events. In his spare time Bob coaches baseball at Bowie State University, for the American Legion, and at the senior and junior high school level. He was inducted into the Hall of Fame of the Maryland State Association of Baseball Coaches in 1994. 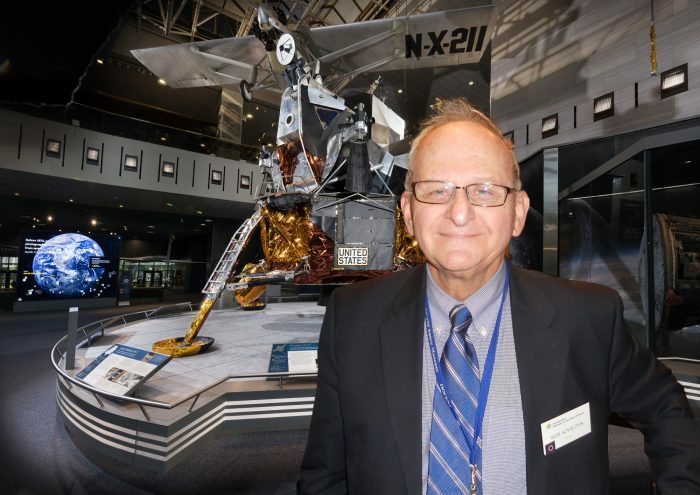 Bob has given more than 4,000 hours of service over the course of 25 years as a volunteer and has shared his love of air and spacecraft with hundreds of thousands of curious museum visitors. It is his fervid hope that one day, someone who might have been inspired on one of his tours will walk on the planet Mars. Kent Wang has been a volunteer docent at the Air and Space Museum since 1997. Allow us to introduce: Ain’t nothing like the real thing Birds gotta swim, Fish gotta fly SAAM’s Volunteer Docents: Celebrating a half-century of art education.